Hello, Applicant! If you have decided to connect your life with medicine, then Donetsk (Kropyvnytskyi) National Medical University is happy to welcome you to the ranks of its students! Donetsk National Medical University (1930), has the IV (highest) level of accreditation and is one of the leading higher educational institutions of Ukraine. According to the rating of HEIs, compiled by the information review resource "Osvita.ua", Donetsk (Kropyvnytskyi) National Medical University ranks the 1st place among the best medical educational institutions of Ukraine. In 1962, a Faculty of doctors’ improvement was established. In 1963 a Dental Faculty was established. From 1985 to 2010, the rector of the University was the Hero of Ukraine, Academician of the National Academy of Sciences of Ukraine, Honored Worker of Science and Technology of Ukraine, Doctor of Medical Sciences, Professor Valerii Mykolaiovych Kazakov; during this period a special attention was paid to the development of science and training of highly qualified scientific and pedagogical personnel - Candidates and doctors of medical sciences. 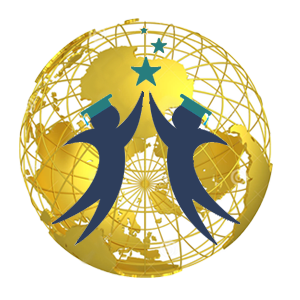 Since 1990, an International Training Center, specializing in the pre-university training of foreign citizens, has been functioning. In 2002 a pharmaceutical faculty started its work. The university's 7 faculties are attended by almost 6000 students, 650 of whom are foreign students from 50 countries in the world, 1500 intern doctors, each year increasing the qualifications of more than 8500 cadets, there is a magistracy, a clinical residency, internships, postgraduate and doctorate study. On the 1st of September 2016, the Donetsk National Medical University opened two new faculties in the Kropyvnytskyi (former Kirovograd) – medical and international. At the international faculty are mainly Russian-speaking students from Central Asia, as well as students from India and Sri Lanka. It will be years, but we are confident that future generations of university staff and students will, with honor, continue the glorious story of the native ALMA MATER! *, ** - EQUIVALENT OF US DOLLARS, PAYMENT IS CARRIED OUT IN THE CURRENCY OF UKRAINE – UAH AT THE NBU RATE, WHICH WAS ON THE DAY OF PAYMENT.